When you are looking for infant car seat, I’m sure that Chicco Keyfit 30 Zip Air and Chicco Keyfit 30 Zip are two models that you consider. They both come as more advanced options of the basic Chicco Keyfit 30. You can find that most of the specs and features of Chicco Keyfit 30 Zip Air and Keyfit 30 Zip are similar. So which of them should be the one to choose? Let’s talk about Chicco Keyfit 30 Zip Air and Keyfit 30 Zip on this article then compare them to see which of them is the one that you should choose. Chicco Keyfit 30 Zip Air is the most expensive option from Chicco Keyfit 30 series. Chicco Keyfit 30 Zip Air comes with ReclineSure, RideRight and SuperCinch to help you install the car seat easily and securely. ReclineSure spring loaded leveling foot that helps you to achieve proper base angle that fit wide range of vehicles. Additionally RideRight bubble level indicator in each side of the base indicate the accurate installation, while SuperCinch help you to tight and secure fit with a fraction of effort. Chicco Keyfit 30 Zip Air comes with 3D AirMesh technical performance fabric that completed with airflow channels for more comfortable ride for your baby. Chicco Keyfit 30 Zip air is completed with Zip-on Visor, Zip-off Canopy and Zip-around Boot. Zip-on Visor is the ability of extend the canopy for shade from the sun, Zip-Off Canopy is the ability to zip-off canopy and remove the seat pad so that It can be machined washed, while Zip-around Boot is the boot that easily zip on and off to match the season. Chicco Keyfit 30 Zip Air also comes with EPS Energy Absorbing Foam for effective impact energy management. You can also carry Keyfit 30 Zip Air comfortably with ergonomically designed carry handle. Chicco Keyfit 30 Zip is infant car seat that introduced as the option of Chicco Keyfit 30 series. 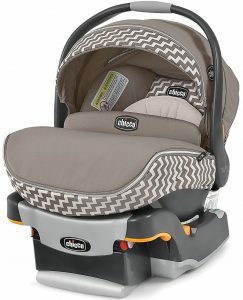 As infant car seat, Chicco Keyfit 30 Zip is designed to be used for 4-30 lbs infant in rear-facing mode. For smaller 4-11 lbs baby, Chicco Keyfit 30 Zip is completed with infant insert for comfort and security purpose. Chicco Keyfit 30 Zip comes with ReclineSure leveling foot to achieve the proper fit in wide range of vehicle models. To make installation easy and quick, Chicco Keyfit 30 is completed with SuperCinch one pull latch tightener while RideRight bubble levels indicate an accurate base angle. Chicco Keyfit 30 Zip comes with removable padded infant for smaller 4-11 lbs baby. It also comes with easy to remove seat pad, while It’s also completed with Zip-off canopy, zip-on visor and zip-around boot. With easy to remove seat pad, visor and boot, you can easily clean this car seat The seat interior of Chicco Keyfit 30 Zip is completed with EPS Energy absorbing foam for improved impact protection. You can also find 5-point harness with one-pull tightener in Chicco Keyfit 30 Zip. We should take a look at the specs and features of Chicco Keyfit 30 Zip Air and Chicco Keyfit 30 Zip before We can talk more about their comparison. The specs of those two infant car seat models can be found on the table below. We can see that most of the specs and features of Chicco Keyfit 30 Zip Air and Keyfit 30 Zip are similar after We look at the table above. There’s indeed few differences between them. Let’s compare them based on their specs and features. 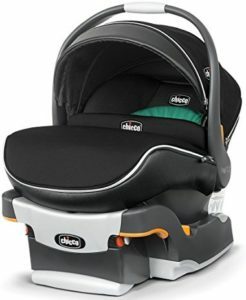 Both of Chicco Keyfit 30 Zip Air and Chicco Keyfit 30 Zip come as infant car seat that can be used for 4-30 lbs infant. As infant car seat, They are only to be used in rear-facing mode. Those two infant car seats also come with infant insert that make it comfortable and safe to be used by smaller newborn weighing 4-11 lbs. Chicco Keyfit 30 Zip Air and Chicco Keyfit 30 Zip come with ReclineSure, RideRight and SuperCinch that help you to install them easily yet properly fit. Both of Chicco Keyfit 30 Zip Air and Keyfit 30 Zip also come with EPS Energy Absorbing foam to for effective impact energy management. 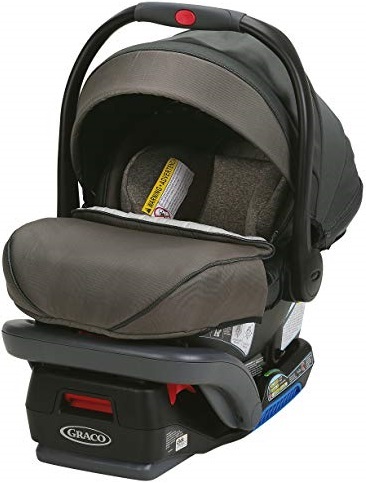 Chicco Keyfit 30 Zip Air and Keyfit 30 Zip come with quick remove seat pad that’s also machine washable so It’s easy to clean those two infant car seats when They get dirty. They are also completed with Premium Zip-on Visor, Zip-off Canopy and Zip-around Boot. Zip-on Visor is the ability to extend the canopy for increased coverage, while Zip-off Canopy is the ability to take the canopy and seat pad off for machine wash while Zip-around boot is the additional boot that easily zip on and off that’s also machine washable. Additionally Chicco Keyfit 30 Zip Air comes with 3D AirMesh technical performance fabric with airflow channels that improve the ventilation so that the baby is more comfortable with less sweating. We can’t find 3D AirMest fabric in Chicco Keyfit 30 Zip. Chicco Keyfit 30 Zip Air comes as the higher model than Chicco Keyfit 30 Zip. As the higher model, We can find that Chicco Keyfit 30 Zip Air is usually offered at the higher price as well. How much is their price difference? It’s recommended to check their latest price so that we can find their latest price difference since the price of those two infant car seats often change from time to time. Should You Choose Chicco Keyfit 30 Zip Air? Share the post "Chicco Keyfit 30 Zip Air vs Keyfit 30 Zip Comparison"